Once upon a time, at the top online casino, there was a magical online slot game called Wish Upon a Jackpot, which is filled with bonuses & exciting wins! All of your favourite fairy tale characters have gathered in Wish Upon a Jackpot Slots to pamper you with bonuses and enchanting wins! Your Fairy Godmother can appear at random, triggering a Bonus Feature or offering you a guaranteed win or special Wild. 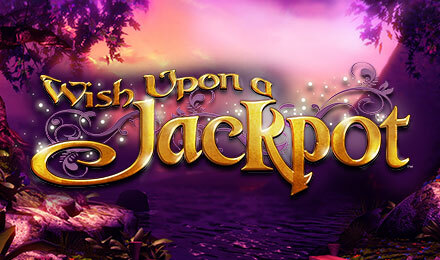 The bonuses in Wish Upon a Jackpot Slots include: Rumpelstiltskin’s Deal Maker, Jack and the Beanstalk’s Multiplied Win up to 1,000x, Rapunzel’s FREE Spins and the Three Little Pigs Free Spins Bonus with extra Wilds.